Please join us April 8th at Darby's Pub in Minneapolis!! 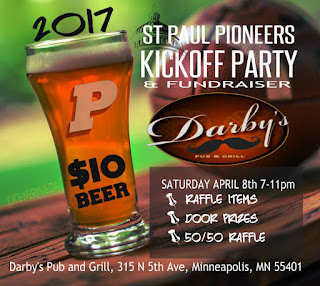 Come join us for the St Paul Pioneers Kickoff Party and Fundraiser. 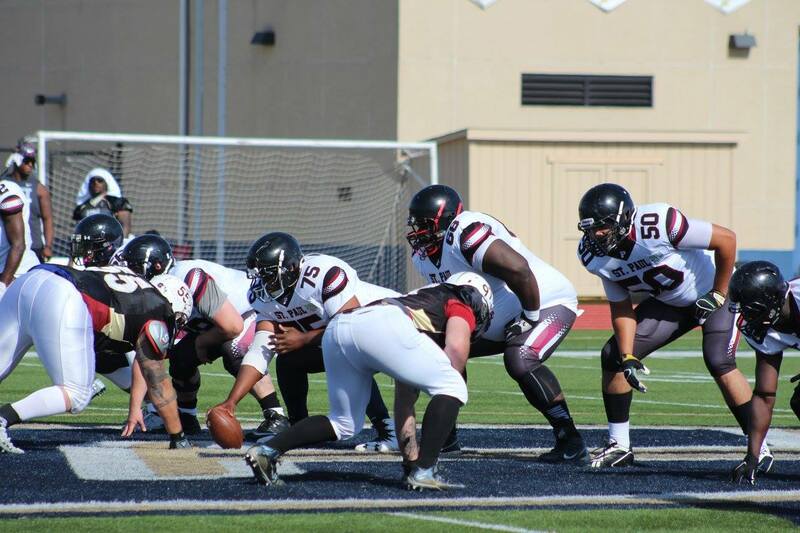 Let's Support the Pioneers as they not only defend our 2016 NEFL Championship, but also strive to obtain another National Championship!! $10 get's you in and lots of BEER! We'll have items for Raffle, Door Prizes, and a 50/50 Cash Raffle! Darby's is located in the shadow of Target Field in downtown Minneapolis. Because of a scheduling conflict at Sea Foam Stadium, home to the Pioneers for the past five seasons, St. Paul will open the 2017 season with a home game in a different stadium. But that stadium is only a half mile away. Historic Griffin Stadium at St. Paul Central High School is the site of the Pioneers' season-opening contest April 29 against the Northland Bulls. It is the second time in their history that the Pioneers have played at Central. 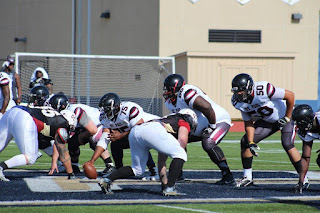 In 2009, in the North American Football League playoffs, the Pioneers defeated the Racine Raiders on their way to winning their first National Championship. 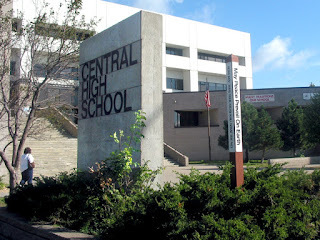 Central High School is located at 275 Lexington Parkway N., just south of Interstate 94. We look forward to seeing you there, as the Pioneers begin our 16th season and seek to defend our NEFL title for an eighth straight year. Tickets are just $10 at the gate. Children 12 and under are free. Kickoff is set for 7 p.m.